Product Consists : Bouquet of 12 Mix Roses (Red, Pink, Yellow & White) with some fillers in a cellephone wrapping, 1/2 Kg Chocolate Cake along with Christmas Greeting Card. 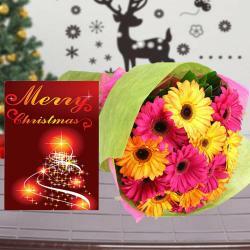 Giftacrossindia.com brings to you this lovely gift combo of Cake, Card and flower for Christmas gifting. 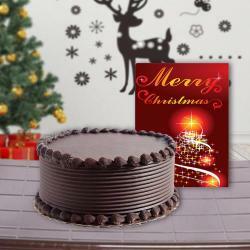 It includes one delicious chocolate Cake which looks very tempting. The dark color of chocolate and garnishing on the Cake make is look unavoidable. This mouth watering Cake comes along with one bouquet loaded with twelve roses of different colors. It has four white, four red, four pink and four yellow roses. The flowers are arranged very beautifully on this bouquet which makes it look more attractive. 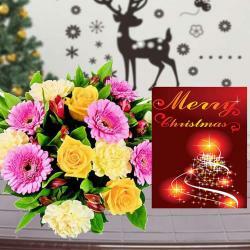 There is one Christmas Card also available on this gift combo. 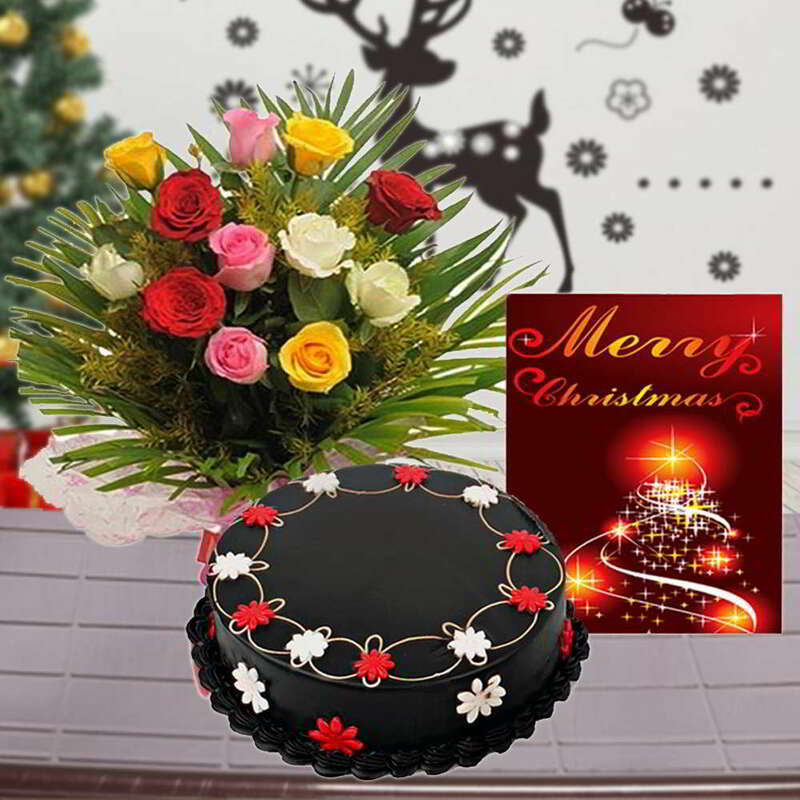 Send this adorable gift combo of chocolate Cake, rose bouquet and Christmas greeting Card to your dear ones and make them feel special. 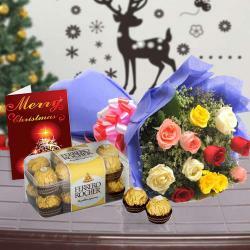 Product Consists : Bouquet of 12 Mix Roses (Red, Pink, Yellow & White) with some fillers in a cellephone wrapping, 1/2 Kg Chocolate Cake along with Christmas Greeting Card.